Breakfast, eggs, and pancakes I love. 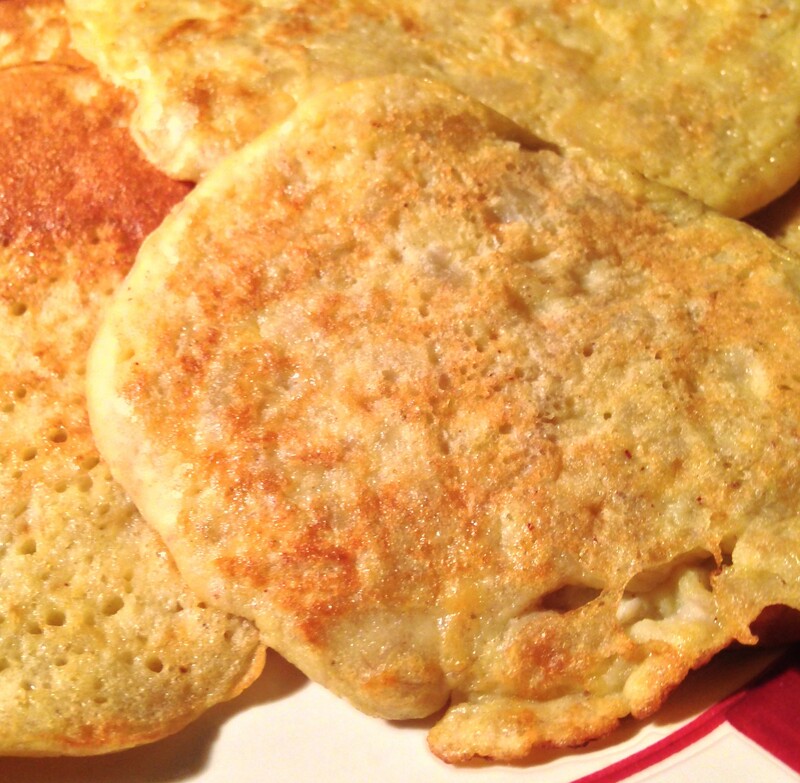 So when I came across a recipe for egg and banana pancakes without flour, I had to try it. Flour thickens the pancakes (and the midsection, too). If they tasted alright, flat over fluffy might be worth it. There was only one way to find out what they would taste like without flour – make them. They’re good! I was surprised they were so tasty without the fluffy flour. However, a few other ingredients were added which made them taste superb. I added a sprinkle of cinnamon, about half a teaspoon of almond extract and about one-half teaspoon of honey in the batter. Mixed all up with a whisk, the batter was ready for the electric griddle. I used a little coconut oil on the griddle. I measured half a ladle of batter for each pancake. Topped off with a tad of butter heated in a small bowl with sugar-free syrup, the pancakes were delicious. What I like about them is they are very tasty – without the fluffy feeling you get from eating foods with flour. 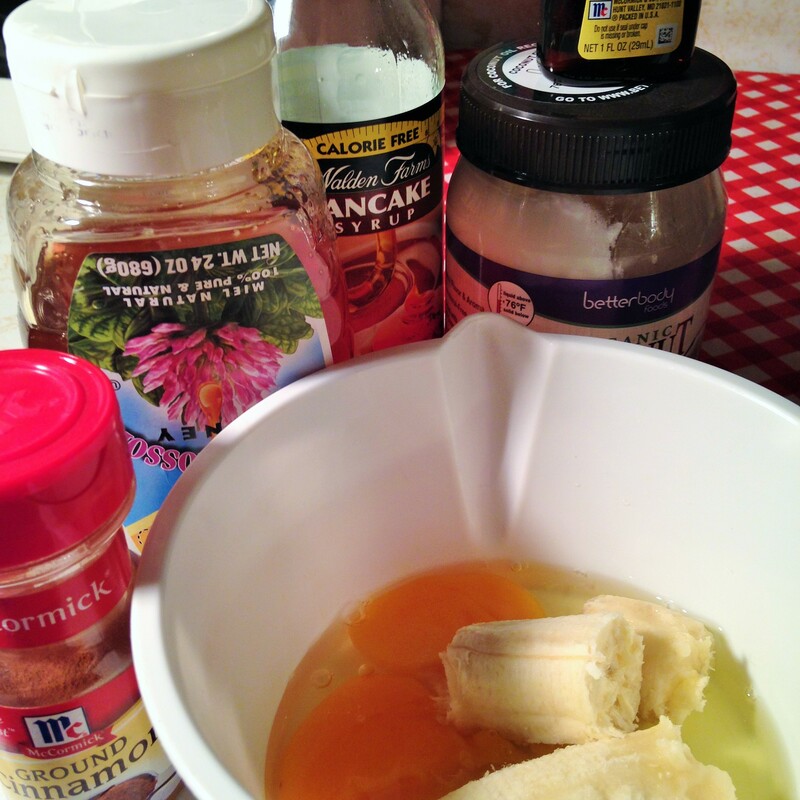 The egg and banana pancakes were on my list of lean foods to stock up on for January kitchen organizing. You can follow my lean food list at houstonblognetwork.com. Create your own recipes from the list, and come back to share your results in the comment section.